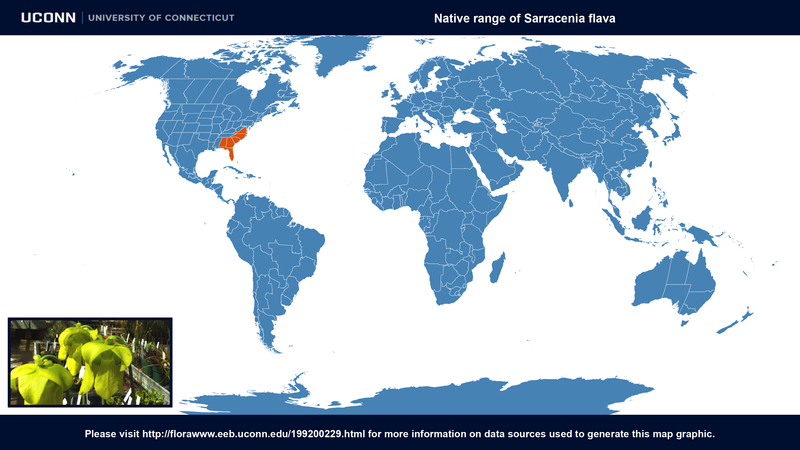 Habitat: Wet pinelands and bogs. 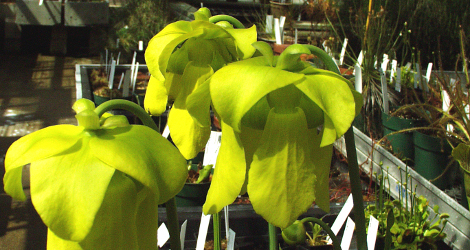 Description: The Yellow Pitcher Plant is a carnivorous plant that prefers wasps, bees, and all types of flies.It needs high moisture therefore is usually found among mosses. The large erect leaves possess desirable ornamental value. Its flowers are yellow rising in the spring, born on stalks that clear the foliage. 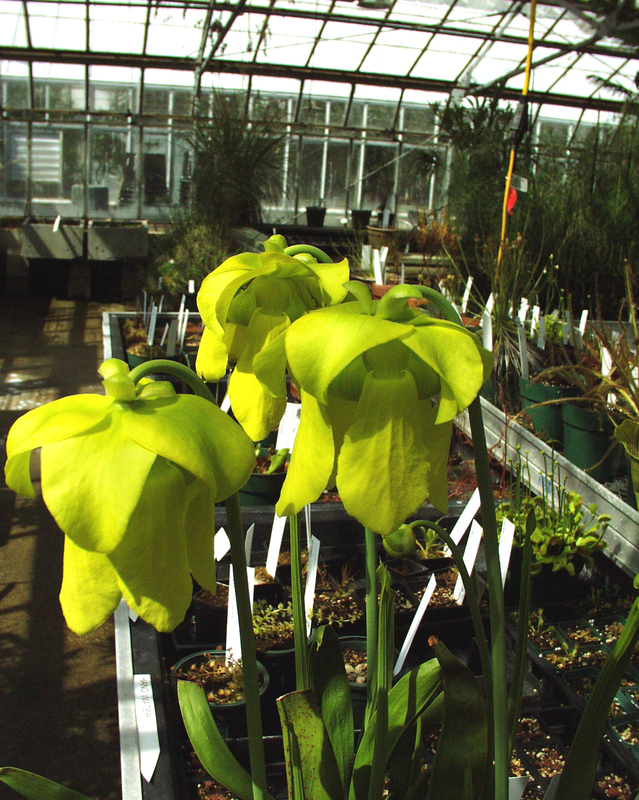 Sarracenia flava at ARS-GRIN. Last accessed on Friday, September 08, 2017.